Hidden in an article about New York City's first million-dollar parking space is the somewhat incredible fact that, up in the apartment building this parking space will be attached to, "the shower water will be pumped full of vitamin C and aloe" for the building's economically distinguished residents. Like the home vodka tap we joked about years ago, this enhanced water supply seems to be further evidence that literally every aspect of the human environment can not only be redesigned, it can be aggressively capitalized upon in its ensuing augmented state. At either end of the long buildings were to be situated control booths, where technicians would command instruments to regulate the temperature, humidity, and air pressure, as well as to waft salubrious scents and "rarefied condensed air" through the halls. Nor would sound be left unorganized. Specialists working "according to scientific facts" would transmit from the control center a range of sounds gauged to intensify the process of slumber. The rustle of leaves, the cooing of nightingales, or the soft murmur of waves would instantly relax the most overwrought veteran of the metropolis. Should these fail, the mechanized beds would then begin gently to rock until consciousness was lost. It doesn't seem far-fetched that New York City buildings will add, to their already existing stock of doormen and cleaning crews, lifestyle technicians working behind the scenes like conductors of a sensory orchestra, recalibrating sounds, scents, and lighting intensity, even dialing up barometric pressure at certain key times of day, for the strangely mummified people living inside. [Image: Konstantin Melnikov's "Sonata of Sleep"]. Specialty mixtures of air—perhaps even air subscriptions—could be piped in through luxury ducts as atmospheric brewmasters toggle dials in the basement, frantically trying to zero-in on domestic perfection for expectant customers breathing calmly above. Great post! 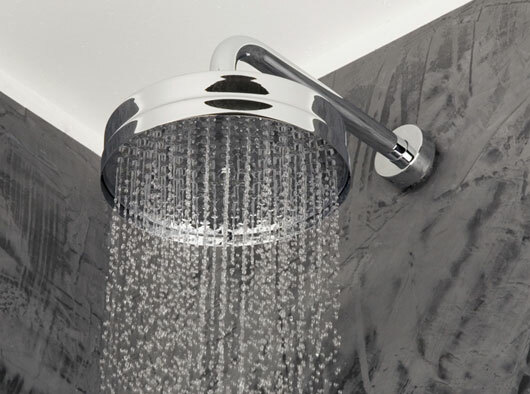 As someone who is decidedly not rich, the idea designer shower water is ridiculous. Your mention of Stalin's workers dormitories is interesting in that they are only now being brought to fruition, at least in spirit, by the super-rich in New York. I wonder how the Chinese workers at Foxconn who make iPads (and who live in dormitories) would feel about some aromatherapy! after a whirlwind of emotions ranging from amusement of the absurd, to outrage at the excesses of liberal modernity, pity (!) for those wealthy in means yet with a poverty of soul power that deny themselves the sound of real leaves rustling or actual bird song, turning to post-middle class melancholia i am finally left with the ambivalence born of disregard deserved by folly. thank you for the emotional ride. Aha! This way Homo sapiens will evolve into two species: one that can survive in even hell and the other that would stifle outside of paradise. When it comes to selection [of the fittest], you can very well guess which will survive. um... vitamin C is ascorbic acid ... can't imagine aloe is alkaline enough to compensate for the pH drop. Won't that strip the metals right out of the plumbing, giving them vitamin-c-aloe-lead-and-chromium 'enhanced' water? Or maybe rich people have that solid gold plumbing that your sports-gear interviewee mentioned in another post.